Now available online, new Geoffrey B Small. 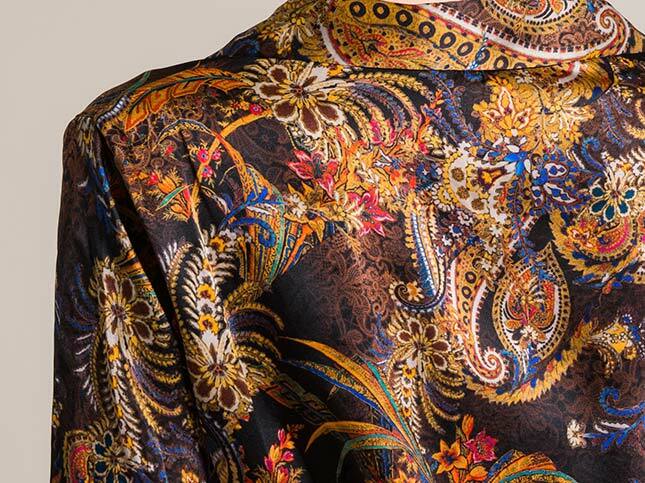 For Fall/Winter 2017-18, Santa Fe Dry Goods has received a collection of silk blouses with intricate geometric and paisley prints. The four button-up shirts were handmade exclusively for Santa Fe Dry Goods in Cavarzere Venezia, Italy. The latest shipment is available in Santa Fe Dry Goods on the Plaza in Santa Fe, New Mexico. Geoffrey B Small is available in-store only. Please call (505)982-4066 for inquiries.